How did you get into the world of data science and machine learning? In the past, I’ve dabbled with both data science and design. 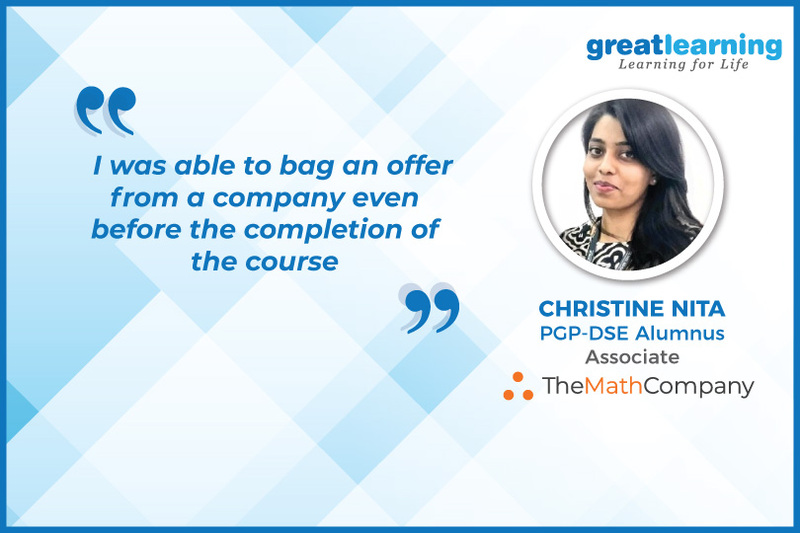 My first brush with analytics was during my short stint at Mu Sigma and later, I moved onto design and then back to analytics in a telecom service company before taking up the PGP-DSE course to get a jumpstart into the world of machine learning. What was your motivation to choose the PGP-DSE program by Great Learning? I love problem-solving, and machine learning and data science progressively drew my interest. After doing comprehensive research, I applied and got offers from two institutes to take up the data science program. I chose Great Learning after reading a lot of blogs and the high ratings on Analytics Vidhya and the positive feedback I received on LinkedIn from the alumni. The quality of faculty is impeccable and the concepts were explained deeply from scratch. I know how each model works under the hood and that was the best part. The practical sessions helped me to see in action what I had learned. Overall it was the best blend. Did the career support from Great Learning help you in getting a job? The fact that I was able to bag an offer from a company of choice even before the completion of the course speaks volumes about the support and the rigorous training that helped me become job ready. Are the learning outcomes of the program helping in your current role? Any advice you would like to give to the aspirants of the PGP-DSE program? The program is very well built to train open and eager minds. I would suggest people who are passionate about data science but don’t know where to start or people who have read these concepts online but have a fuzzy idea of what machine learning is all about to take up the course. I hope to encourage and assure them that they are in good hands having enrolled at Great Learning and this course would be a launching pad for their career just as it was for me.